How quietly fall colors sneak up like Jack Frost has an airbrush. The colors subtly tint a leaf or two, then a cluster here and there. The color from the airbrush increases and soon the maple trees catch the brilliance of red and orange. No two trees turn simultaneously. In our small neighborhood of a dozen old miners’ homes, I watch trees change hue in succession. My daughter tells me that their biggest maple is often the last to take on autumn’s hues. From the back deck where the Hub puffs a pipe, I lean back on the bench and watch the maple behind him. At first, the giant maple appears vividly green. If I stare long enough I can catch the faint tracings of yellow across the leaves. Oranges burst like flowers. And the flowers are not yet to be outdone. Hibiscus unfolds daily in the front yard, each blossom unfurling like pleated burgundy satin. A flash of gray flits from the trees and I watch a whiskey jack (Canada jay) flutter above the porch door jamb of our neighbor. He’s shoving a peanut behind a loose piece of trim with his beak, squawking and beating his wings. The whiskey jack has the right idea — winter is coming. But not to the rest of the world. And that’s what is so fascinating about a global community. Somewhere, winter is not coming. Somewhere the flowers are a different color. Somewhere the trees are not maple. Somewhere the pipe is a different relaxant. Somewhere is a place so exotic to my own Keweenaw, I couldn’t imagine all the differences. Yet for what variation might exist, we are all the greater tribe of humanity. Linguists know we all have words for mother/father. Humanitarians know we all suffer and yet strive for better lives. Culinary experts record our shared love of food, no matter how we spice it. Every culture has a flatbread. Caves and museums record our need to communicate stories in art. Fashion reveals our propensity for clothing that adorns. And a single Ranch in Hancock, Michigan witnesses the power and creativity of storytelling around the world. Here we make literary art no matter how we experience this time of year. With the coloring of the north-woods comes the return of almost 8,000 students to Finlandia University (600) and Michigan Tech (7,200). Over 1,000 of these students are international. Our peninsula shares Lake Superior with Canada and several tribal nations, including the Keweenaw Bay Indian Community (KBIC). Thus, every September we celebrate a Parade of Nations. KBIC lead us in the cultural activity, drumming blessings before and at its conclusion. Representatives of various nations line up alphabetically and march from Finlandia University in Hancock across the portage bridge to the Dee Center (aka the hockey rink) at Michigan Tech in Houghton. Beneath national flags, people proudly express their origins, often in colorful clothing. Children march with adults, KBIC members dance, and school mascots toss candy. The parade tasted bittersweet to me this year. I had planned to wear my Finlandia blues to show my school colors, but the unexpected happened. The course I created for the CTE Marketing Program closed because the roster of students dropped out. This devastated me initially, but I remain in good graces with both Finlandia and the CTE division. They have asked my to come up with some solutions to problems we encountered and it may work out next year. I watched the Finlandia students march and accepted: next year will be different. Another milestone of bitter-sweetness passed this week — 31 years with the Hub. If you’ve had the chance to listen to the Rodeo Playlist, maybe you caught Garth Brooks’ song, The Dance. The line, “I could have missed the pain, but I would have had to miss the dance” says so much. I would not have missed how right we used to be even knowing how this will go. Already, I’ve made many aware of the plight. I’ve talked with younger wives who’ve told me their spouse is kind of like mine except…And I tell them that my spouse once had those exceptions, too. Instead of waiting between initial recovery and eventual degeneration, we need to do more than ignore the problem. That is why Mt. Sinai Hospital in NYC has a Brain Injury Research Center. Pending paperwork, the Hub will take part in an observational study he can contribute to through surveys (mostly the focus is on emotions). He also plans to sign documents to donate his brain for further study. It’s been a boon to have insights from this cutting edge research on CTE because they can help us when the Hub goes to Minneapolis. They know what to look for, including biomarkers the VA has already missed. It was so validating to read that the signs I had been trying so hard to get the VA to read are exactly the ones they see in cases of CTE. And don’t think I’ve missed the irony of my course and my husband’s suspected condition. Yes, they are both CTE. One is career technical education and the other is chronic traumatic encephalopathy. CTE is causing strife but I’m fighting back with another set of letters — EMDR. I’ve recently, thanks to the help of a veteran spouse friend, started to see a therapist who uses EMDR as a tool to access traumatic memory and resolve the impact. It’s not an easy therapy, but it is powerful. An interesting side-note to EMDR is that I’ve had such vivid visual memories that I realized why I don’t like writing memoir — my visual recall is normally not that sharp. I wonder if I’ll gain a new ability? I have plenty of fiction to attend to, though so I don’t plan on adding to my writing bucket list just yet. 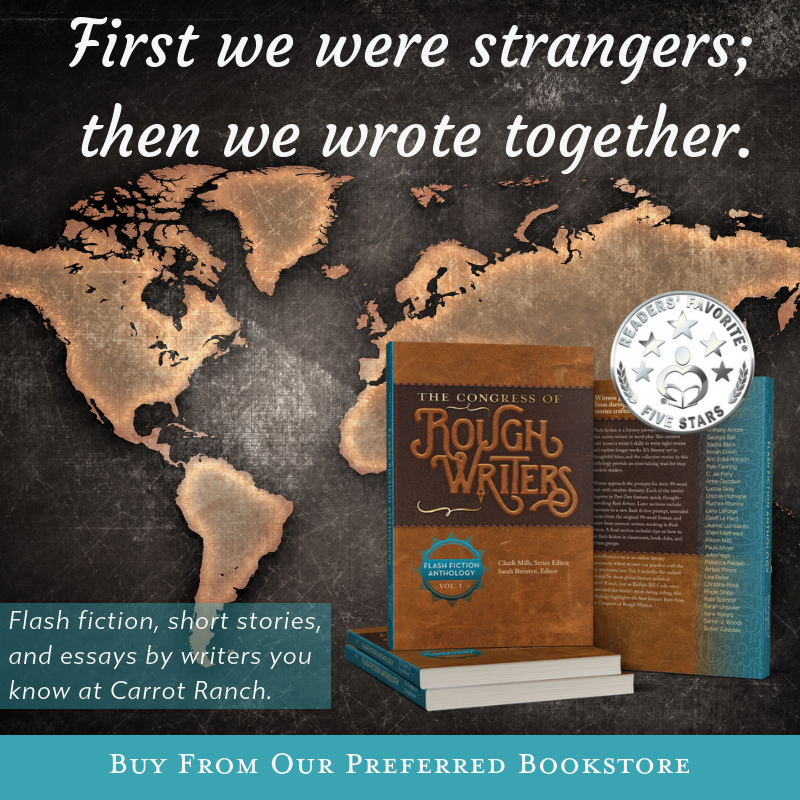 As a reminder to regular or occasional Ranch Writers — this will be the last Weekly Flash Fiction Challenge until November 1. The Rodeo begins October 1 when we announce the five writers who will compete every Monday for the TUFFest Ride. 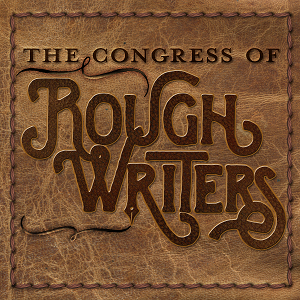 Every Wednesday in October, a different Rodeo Leader will launch a flash fiction contest. Any Minneapolis writers? Give a call out in the comments. I’ll actually be doing the first live read on October 1 from Minnesota! Not what I had planned, but that’s the first week of the Hub’s 4-week evaluation. I’ll return to Michigan October 4. All contests are FREE to enter and offer a $25 first place prize. All five TUFF contestants will also each win a cash prize. 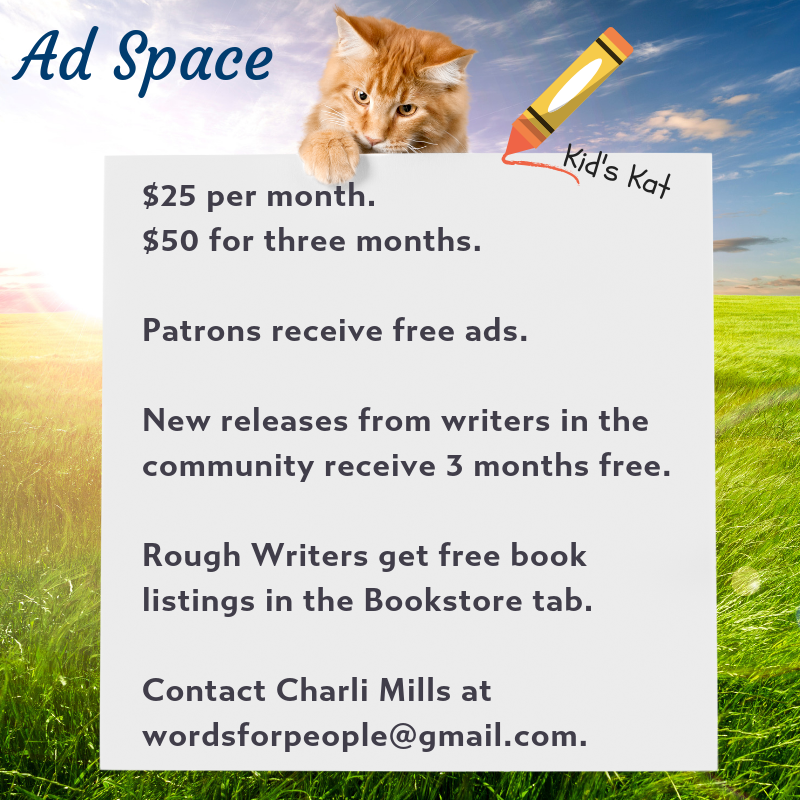 We might have a sixth unadvertised advertising contest for a local sponsor and that will be announced October 5. 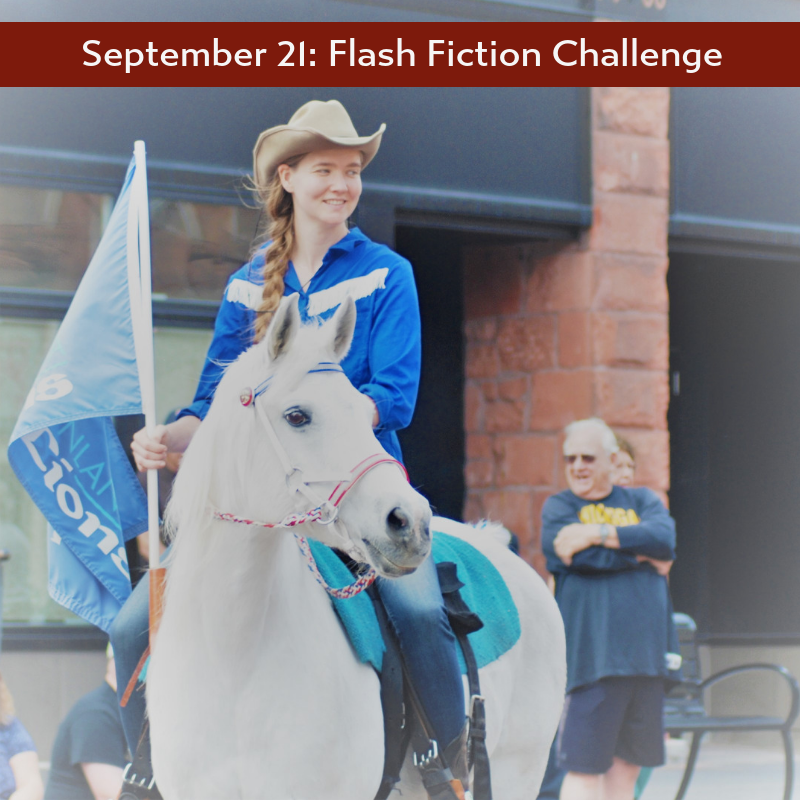 There’s much to do in October during the Flash Fiction Rodeo! I hope you feel inspired to participate. It’s something different and more challenging. If you want to sponsor the event, check out the different levels of sponsorship. For now, let’s go out with a Parade of Nations. September 20, 2018, prompt: In 99 words (no more, no less) write a story about a parade of nations. It can be literal, or it can be a phrase that you use to describe a situation. Explore what it could be. Go where the prompt leads. Respond by September 25, 2018. Use the comment section below to share, read and be social. You may leave a link, pingback or story in the comments. Rules & Guidelines. Jamie clacked his tap-shoes across the pavement. He’d found the kilt at the Keweenaw Consignment and paired it with his mother’s discarded turquoise blouse, the one that matched his sunglasses. He danced every day, preparing for his solo march in the Parade of Nations. Jamie was alone in his nation – an outcast. Many people treated him kindly and he managed to live on his own. Others said cruel things or pointed and laughed. He ignored them. A shout from the bystanders, “Dance, laddie, Dance!” inspired a spontaneous back-flip. Too late, he remembered what was worn beneath a kilt – nothing. By Charli Mills in Flash Fiction Challenge on September 21, 2018 . Hee hee. That’s quite a flashy flash. This is going to be quite a parade of flash from Buckaroo Nation this week. A great way to ring in the rodeo. He’s in the slideshow but not with kilt a-kilter. So glad to hear such positive news with your Hubby Charli. Terrific photos too. Looking forward to your return in November. Take care. Thank you, Di — yes, such positive news! I’ve been snowed under with all the paperwork, travel plans and keeping up with the Rodeo. I’m not going to let poor timing diminish the value of either. I’ll simply do both! And I’ll be here, just in rodeo boots! I hope you try out the contests. They will be fun! Thank you, Deepa. Likewise, I see a strong woman in your writing. I’m delighted to share those photos! I feel like they show the beauty of the writing that emerges here each week, so vibrant and full of variety. Hi Charli, I was absent from your blog for a month. 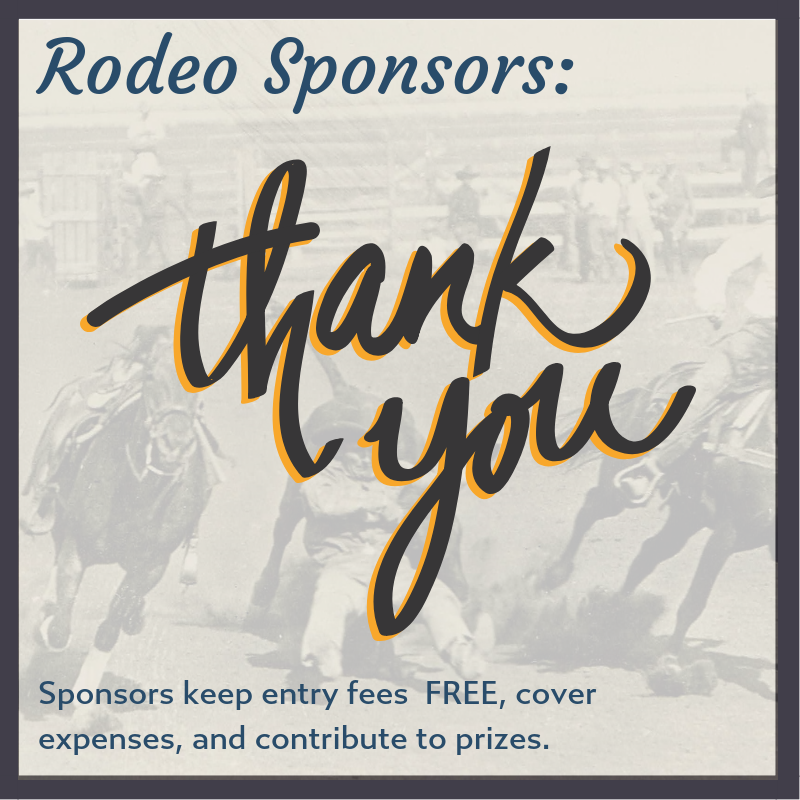 How can I be a Rodeo Sponsor? Good morning Miriam. (This is D., but I know the answer to this one. ) Scroll on up this page and on the left is a “be a sponsor” badge to click. Click it and all will be revealed. Charli has a lot of fun ways to support the ranch at the payments and patronage page that can be found within the Charli Mills tab. Thank you, D. I’ll look at it later this afternoon. Off to take care of my after-school care business. Thanks for having my six, D.! here is my take on the challenge Charli. It was so lovely and I felt it held an essence of the writing from the Ranch. Thanks, Beth! Charli, I’m gutted that your teaching slot has fallen through, fingers crossed the problems will be rectified for next year. And congratulations securing a treatment place for your husband. It’s an extremely limited concept of rehabilitation to exclude minimisation of future loss of function. I’m interested that you’re trying EMDR. It seems complete hocus-pocus but I understand the results are generally very encouraging. I hope it helps you. I love your flash and don’t think we’ve met Jamie before. Clever and amusing twist to the story. You are a well travelled reader! Anne, I was gutted, too, so full of excitement and prepared. We did all get together and meet. I offered solutions and Finlandia liked the idea of combining marketing and design. I was asked to create a proposal but warned that the district director wanted to move forward with design. Today I received an email that he also liked my proposal and we meet in two weeks at Finlandia to discuss how to move forward. There’s still a fragment of salvation in all this! As for EMDR — ha! I could not explain it without it sounding like hocus-pocus, but I also can’t deny how effective it is. I feel like I go to therapy and get to work. Jamie is new. How funny that we were both parading this month! Not like Jamie, of course. But thinking about parade of nations. Oh my, I couldn’t help but laugh at Jamie’s flash. Now that really is a flash story. When I first read your prompt, without having read your post, I wondered what I could possibly write about the topic. Then, still not having read your post, I sat down to do other things and instead, wrote a first draft of my post. Now that I read yours, I see certain similarities, and certain differences, just as it should be. I probably won’t have a chance to redraft and edit for a few days as I have a busy weekend with the grandchildren, but I’ll be back as soon as I can. I do hope this work with the Hub will be successful. It’s good to know that he will be well looked after for four weeks. A busy, and agonising four weeks for you. It’s good advice you give the wives of younger veterans. You have been there and know what’s coming. You knew, and couldn’t get anyone else to see. At last, they are starting to. Maybe too late for Hub, but hopefully not for others. Next year is not so far away now, though I guess you mean this time next year for your course. Not only is the weather different in our different hemispheres, our school calendars are different too. Our school years match the calendar year. Your sponsorship badges at the side look pretty awesome, Charli. You’ve done a great job. Here’s to a fun October. The children listened intently, eager to learn. Each family’s wish was for a better life. The group was a parade of nations; with Dragos from Serbia, Duy from Vietnam, Melino from Tonga, Ervine from Scotland, Rongo from New Zealand, Jung from Korea, Sanhitha from Sri Lanka, and Jawara from Senegal; and these were only the new arrivals. Others were first and second generation with but a few who could count back further than three, except for Kinta whose ancestors were the first to arrive. The wall map, dotted with pins to show each one’s heritage, was their proudest display. Jamie provided a flash flash! And I’m not surprised at any similarities between our posts given that great minds think alike! 🙂 Or is that melioristic growth mindsets…? I received good news today — or hopeful, at least. Finlandia got the okay to move forward with the school district on a proposal I developed to combine a marketing and design course. We’ll meet in a few weeks. I hope I get to create it and eventually teach it. Matching a school year to the calendar year makes more sense, but it’s so ingrained in me to expect September is “back to school.” Thank you for noticing the sponsorship badges! Here’s to agreeing with you on a fun October! Thanks for your flash despite a full week! Great news from Finlandia. I hope you can pull this one off. Not long now for that October whirlwind to begin! A story of global cuisine, though not for all tastes. The prompt led you to a dark place! Sharp writing (no pun intended). Sorry about your course, and the on-going struggles for you and your husband. Sounds like there’s some hope to alleviate the burn with EMDR and the VA *finally* paying attention. Good for you both to commit to sharing, for future/present sufferers. And hey, I’m not from Mpls–but from St. Paul’s north-ring suburbs. Close enough? My geography of the US is rubbish, but would be great if you could get there, Liz. I’d love to see photos of the Ranch hands together. 😮 (Full frontal Scot) 😮 Will keep an eye open for your email. I wasn’t all that excited. An old guy coming to live out his life…in our commune. “He’ll be here mid summer,” Kate said, clutching the old Frenchman’s letter. “And he knows about us, how?” I asked. “His niece, Rosario,” she says. “Passed through last summer. Was here most of that July. Then she hit the road. Lives in Columbia, I think,” she adds. “Hmm,” I mumble, and down my carrot juice. I’m a local. Not well-travelled. But here, we’re a potpourri of flavours. An underground railroad of Yanks. Bobby Kennedy’s dead but our life goes on. presumably to escape the Vietnam draft? Don’t think I’ve ever read about that aspect in fiction. Is this a BOTs by the way? Lots of stories emerging now of kids raised in communes. Wow, 50 years! Sorry about the jargon. BOTS = based on a true story. I think you’ve answered my question on that! Anne picked out the same line that jumped at me and it rooted the scene firmly during the Vietnam era. I also appreciated the phrase, “a potpourri of flavours.” Wow — a commune that is still going on. That reminds me of the food co-ops started in that era. Great flash, Bill. A brilliant piece. I enjoyed it. The parade of nations sounds amazing Charli! Now, I am sad your teaching opportunity has fallen through, but so happy your Hub will be getting the right care soon! When I went to school in NY, and NJ classes were more mixed. I guess they are in bigger cities. The food afterward was amazing too, Ritu! Ah, such a whirlwind week of emotions and preparation. Looks like I might get to develop an altered class and it could possibly be a better situation. There’s always hope! And I felt that at the parade. Thanks for your flash! I think you are very lucky to live in a place that can co-exist with diversity. Many cities claim to be – but ultimately exclude some group. Sorry about your classes, but happy for the good news for your hubby. They are the migrators of nations. Parading in the sky. Fifth generation setting off to Mexico in late summer. Birds can end up in Panama. just as a single flutter. Love this take on the prompt< Jules. That migration sure evokes autumn for me. Brilliant take. Birds know no borders. Birds fly the colors. Cool. “Free of borders,” if only we could learn from the birds that migration is not a bad thing. Yes, I agree that some places claim to be welcoming but are not. I feel it’s authentic here because of the two universities with diverse students, staff and visitors, the native populations, and the remaining immigrant cultures from the mining days. It feels more like your flash. 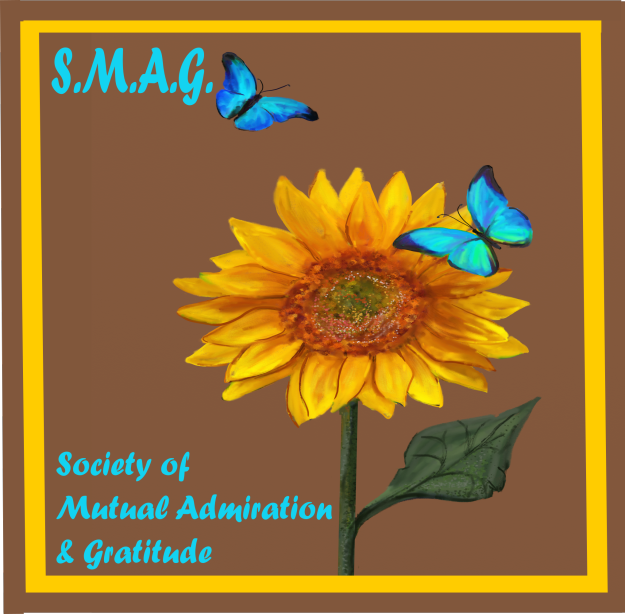 Somewhat like writing — review, rethink , rewrite, and for FF – reduce! I hope more ideas and opportunities turn up for you to explore for the Hub’s treatment, as well as for your writing and teaching. Isn’t that true, Saifun — life’s ups and down mirror the writing process. Perhaps it’s because the two reflect back and forth that writing can be so healing and living so enriching to writing. It looks like I might get to move forward on developing a combined marketing and design class for the University. It’s a hope! Fabulous! Let’s have world peas indeed, although preferably not airfreighted from Kenya and Peru, as a lot of ours are, even in the summer when we have our own! Yes, let’s give peas a chance and let’s grow our own. 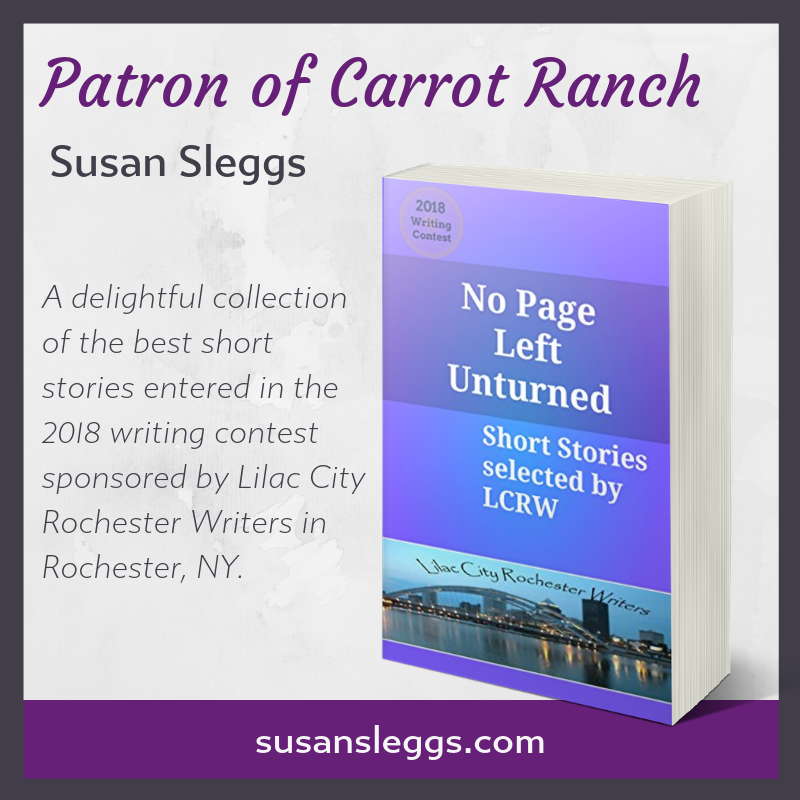 Carrot Ranch can be an example of a peas full place where voices from around the world are among the herd. I’ve seen those ‘Give peas a chance’ bumper stickers! Oh, haven’t seen that … yet! Give Whirl Peas a Chance. This makes me hungry — “Multicultural culinary curiosities from countless countries.” I’ll bring the bacon! And whirled peas. I learnt EMDR from Shapiro herself decades ago and used it to help so many … it should help hub heaps, but don’t have high expectations, his damage has been untreated for too long but he can learn to recognise and avoid triggers … good luck! Wow! You learned it from Shapiro. That’s awesome. Ah, they aren’t so sure it will be helpful for the Hub. This current month-long evaluation will give us all a better idea. The EMDR is for me! It’s helping but is also a lot of emotional work. oh it stirs up stuff you didn’t know existed, keep some good supports around you Charli and don’t be afraid to ask for help! Incredible descriptions from your view for all to enjoy. Okey Dokey here’s number 2 – a BoTS from a visit from May of this year. 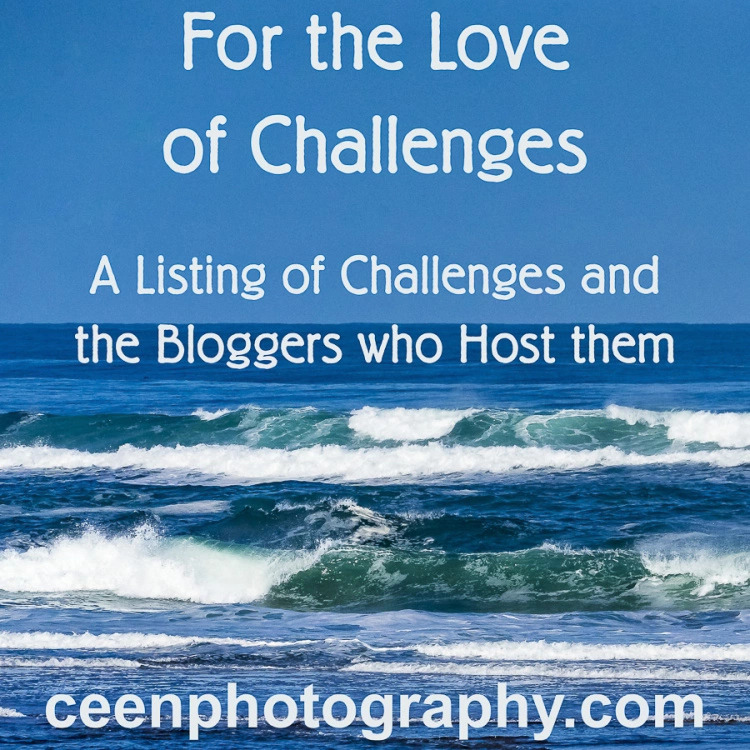 Remember the title link will get you to the blogpost and a photo! had flown across the oceans. the sun helped to form rainbows at the horseshoe. Note: It is believed that Niagara is a derivative of the Iroquoian word, “Onguiaahra”, which was anglicized by missionaries. The name appears on maps as early as 1641.The generally accepted meaning is, “The Strait”. Some think it was derived from the narrow waterway that flows north from Lakes Erie to Lake Ontario. Tourists are indeed a parade of nations! And I appreciate you sharing that interesting bit about Niagara’s name. I listened to the drill sergeant’s voice and a sense of pride swelled in my chest as I raised my hand to salute the onlookers in the parade stand. Exhaustion had set in weeks ago. Air Force Basic Training had drained me of everything I possessed, but somehow, I carried on. This was my flight’s crowning achievement to march in the Parade of Nations to salute our NATO allies. We had earned the honor as the first women’s flight to graduate from the USAF. The cadence of my life slipped into place and time stood still. Yep all around 1976 was an interesting year. Think we’ll have a tricentennial? Or even a— Jules, what’s the word for two and a half centuries? Did you go through that train? I did. A museum on rails. What a feeling to march in so significant of a parade. Maybe you weren’t in the very first group, but you were still a pioneering servicewoman. Thank you for your service, Colleen. Complaining about the bordering gardens, the new neighbor did an un-neighborly thing. He enclosed his property behind a fence, a veritable wall, really. Thing is, the surrounding peas the others were tending throve. Whorls of tendrils covered the fencing; vibrant blossoms cascaded over the fence, their sweet fragrance carried on the soft breeze. There were many colors and hues, for the neighbors grew all sorts of peas. The new neighbor looked up from watering his monochrome crew cut patch of ground. Awed by the parade of color, he had a change of heart. He would give peas a chance. Most excellent…love this take on peas. Love the humour in your piece this week, and good luck with all your challenges at present. Thanks, Sarah, it’s all working itself out. Glad you caught the humor! Dressed in their finest, sleek grey suits, they glide along effortlessly. A graceful, yet determined southbound march. Playing follow the leader, they duck and weave around each other. Occasionally pausing to wave to those watching. The parade is a long one, traipsing half the length of the globe. Suddenly, with a mighty push, a mother leaps majestically from her position in the parade, and lands with a triumphant splash. Her newborn baby calf copies her in tandem, delighting those viewing from the shore. It’s learning. Every September, the kings of the sea, make their parade of nations to feast. A creative take on the parade prompt! This is one I’d love to see. Whoa. Great volley of perspective. Participants began to line up for the parade. For some nations, there were only one or two participants; other contingents had larger groups, but all were dressed in their various ethnic costumes. Voices grew louder as the wait seemed to be interminable, waiting for the start of Dayton’s World Affair with its Parade of Nations. World Affair was a yearly event that celebrated the proud ethnic and cultural diversity of the area. Lithuanians, Germans, Japanese, Scots, Irish, Greeks, and other people from around the world representing their ancestral countries, mingled together in the convention center for the three-day event. I loved the unexpected ending of your flash, Charli. You are an inspiration to all of us, not just through your writing, but sharing your current difficult events, which I am certain will help someone else. Thanks, Sascha. I believe that by being open, we can use our struggle to build needed awareness. It took six years just to get to what was happening. Maybe we can shorten that time for the next person. We are also trying to maintain humor! Well, maybe, in the end, your flash character was flashed! Beautifully written. Ilene said it was good to try new things so steered them to Nathan’s Grille. Marge figured she just wanted neutral territory, even with the safety net of having her and Ernest along. Diverse! Oh, yes, I’ve been in such places, including the curly fries (and the fry sauce was in a dish — ya’ll got fry sauce out east?). Good to see this foursome happening. The buffet in the, new to us, Bed and Breakfast was a wonderful surprise. There was a virtual parade of international foods. We couldn’t name some of the fresh fruit and the egg casserole had a spice we couldn’t distinguish. Both were delicious. We tarried longer than the other guests so we could ask our hostess about the strange exotic flavors. She told us she had asked her international guests over the years for spice and recipe suggestions then incorporated them into her breakfast preparations. Her goal was to please any discerning pallet from anywhere on earth. She succeeded. That’s such a great idea and is actually a smart strategy for writers — to ask readers what flavors they like in their reading so as to write with a discerning pallet in mind. Good one, Sue. All right – here’s what I got for you this week, but first I gotta say that I have a lot of fun here at the ranch, I read a lot of great stuff here too. Thanks to all of you who write, thank you very much. All the nations are here. in our parade of nations. It is fun here. Thanks to you as well. Thank you for saying that, TN! I love the writing that flows through her and it’s so good to see writers appreciating each other’s works. I have a lot of fun here, too. Your flash gives sound and flow to a parade of nations. Ha! Well done with the intentional misspelling. Thanks, Anurag! We line the road, watching them hobble around the bend, ragged and hollow, the rabid fight from only hours ago now carved out of their eyes. We’d spent most the summer surrounding them, from Richmond to Farmville, cutting them down before they scurried down to Lynchburg. Now the two nations would be one again. Their great leader is in the courthouse, signing papers and negotiating mercy. I stand with my infantry. Slaves to soldiers who only now, in the eerie dawn of peace, as the confederates wait to be pardoned or paroled, dare to dream of our own freedom. A powerful parade of nations, one that still marches through as we seek that eerie dawn of peace. Good writing, Pete. Charlie sat flicking the magazine in front of her eyes. A parade of nations blurred. Which country would she explore next? She was done with lattes, black shoes and tight shirts. She yearned for a backpack, a lukewarm coffee in a tin cup and a warm bandana. Being a tourist was more than a parade. She needed to dig in, get her hands dirty and be invisible. She needed to open her eyes and see the real parade, not just the one in glossy magazines. One final flick, the parade slowed down. She knew where she needed to be. 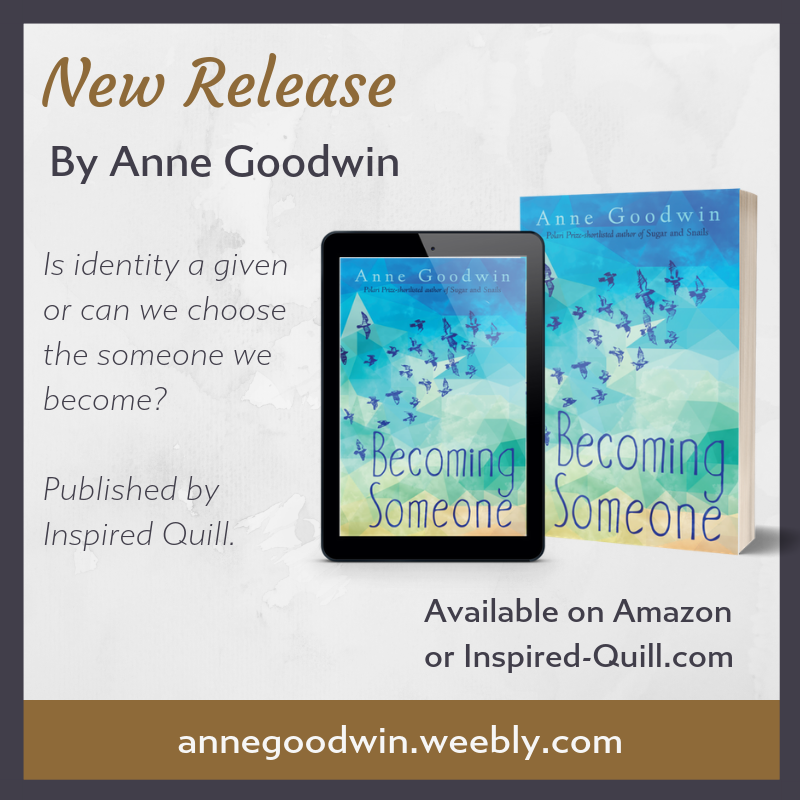 I enjoyed how you use the character to draw us into the seeking and the decision to go find an authentic experience. Thanks for joining us! Lots of fun, looking forward to joining in again. Starting next week (and only in October) we have a rodeo of flash fiction contests going on. They are all free to enter, and fun to do. I hope you’ll give it a go! Good to see you, Tony! I enjoyed this unfolding parade of ruffled feathers. The systems can make it hit and miss, Robbie. The VA is not prepared to deal with wounded aging veterans. But that doesn’t mean I won’t help prepare them! Thanks for your flash! Mari sat and looked at the pile of stickers in the box. Her heart sank. Why no one had bothered to put them into any sort of order and fill the book was beyond her. And now it looked as though the job would fall to her. She could of course throw them all out, claim she didn’t know what they were and why they had become so important. She hadn’t the heart. She sorted the flags, a parade of nations, peeled back the thin film to reveal the sticky coating and started filling the gaps in the book. Thanks for your flash! Such an interesting call to complete an abandoned task. I sat on my blanket, eating my morning cheerios with my grandpa. The television was on while we ate. I squinted. He didn’t look happy. I looked up. My grandpa’s gaze seemed far away. Left some author thoughts on my blog: https://peregrinearc.com/2018/09/29/flash-fiction-parade-of-clowns/. Thanks for reading. P.S.–Charli, I wish you and your husband the very best. From what I’ve read and skimmed, it seems like you’re going through a lot together. My thoughts and prayers are with you two.